Oats Uppuma used to be my favourite before my diet program. After that somehow I am not doing it regularly. In fact my oats intake has been reduced significantly. In last 2 months I have started having oats regularly at least twice a week. I hate plain oats porridge. Need variety and something that change it's blend taste. In a large heavy bottomed Kada, lightly roast steel cut oats in about 1 tsp of oil. When done, remove and keep aside. In the Kada, add balance of oil and place on low to medium heat. Add mustard seeds, when the seeds begin to splutter add bengal gram dhal, Urad dhal and stir until it turns evenly reddish. 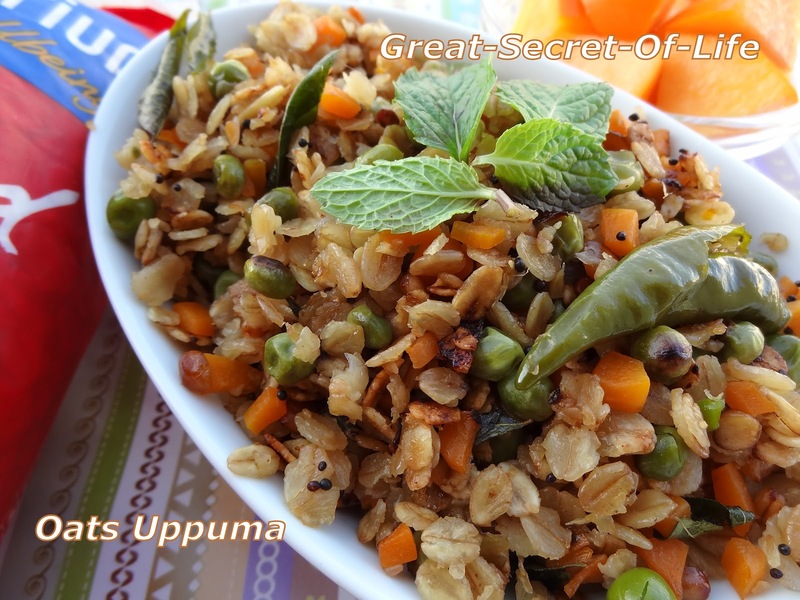 Add green chilies, ginger, asafoetida powder and curry leaves if using and stir a few times. Add the rest of the vegetables, water and salt to taste and simmer for a few minutes until the vegetables are cooked yet firm. Add roasted oats, close with a lid and allow the oats to cook for a few minutes until soft. Add more water if required making sure to add only very little each time so that the oats does not become mushy ( I needed only this quantity of water) . 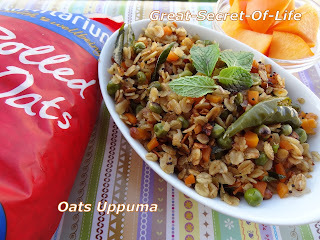 When oats are soft remove from heat and serve hot.